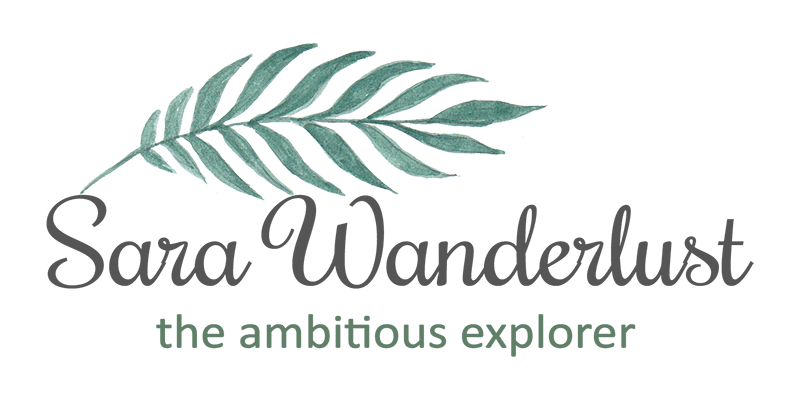 Sara Wanderlust: How i found my right shade with ESTEE LAUDER double wear foundation. How i found my right shade with ESTEE LAUDER double wear foundation. 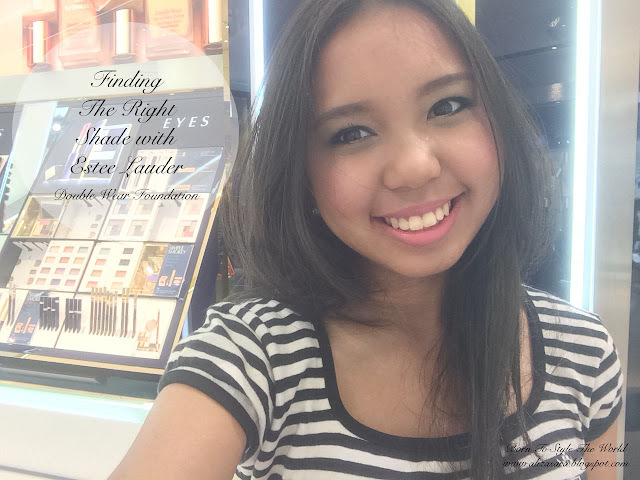 Finding the Right Shade with Estee Lauder. Im sure we all had those days of having a hard time finding the right foundation for your skin tone, and since i had the opportunity to discover on how to find your right tone for your skin, why not share my findings with you guys? Thanks to the Butterfly Project for having me to attend a complimentary make-over by Estee Lauder, to assist me in finding the right tone of foundation. Now before i start, I'm gonna put a before photo of me, so that you can see the difference! Here's how my face looks like without make-up, and i think most of you would think I'm in my teenage, but in fact, I'm actually 23 this year! As insane as that sounds, thus i kindda need to learn to 'groom' myself to look more like my age. As a result at the end of this blog, i do hope you would think i look 23 with proper make-up applied to my face. The chart to identify the right foundation tone. Before the whole make-over start, the beautician checked my skin tone by using this chart as a guidance to find the right tone. As you can see, this goes with finding your skin Intensity first, followed by getting the right undertone which i think is great! One of the best way to find the right shade in a short period of time. Estee Lauder believes that taking care of your skin is important to ensure they stay young and fresh, thus before applying make-up, they had a few products to make sure my face is clean and moisturised before applying the make up. First, they applied the make over lotion to make sure that my face is clean and clear from my light make up. Followed by the sun activating treatment lotion, which would be one of their highlighted product. Accompanied by the advance night repair to balance out the moisture and repair my skin at the same time. Next was the nutritious rosy prism to give a radiant effect to my face. And last but not least, would be to apply UV protector which is really important to keep bad sun rays to penetrate through the skin. And believe me, i have never used that much of emulations and skin care before applying make up. I took it as a lesson to make sure that i have the right essentials before applying make up. Now, let the fun begin! It was really fun to find the right foundation if you ask me. So, here's how the beautician found mine perfectly. Testers available for customers available. The 3 tones which were recommended for my skin tone. It was applied to my face and left for about 2 minutes to see how it blends on my skin. With over 60 shades available for Estee Lauder, you'll definitely find the right shade for your skin. And from the chart earlier, this were the 3 shades recommended to be used for my skin which were, cashew, warm creme and rattan. All three shades were applied on my face, and to be honest, i think warm creme suited my skin the best, leaving a more natural tone without being too bright nor too dark. With the foundation , Warm Creme on my face as base makeup. This is how i look after foundation with colour code, warm creme 3W0 on my face. And guess what, i absolutely was amazed on how light the foundation felt on my skin. My previous foundation, was very thick and it does leave a slight icky feeling as if glue is on your face, but this was incredibly light. I was told that 'Estee Lauder provides 10cm impeccable finish, and at the same time has 15 hours of staying power to last you the whole day'. Am i the only one impressed? After Eyeshadow and Mascara was applied. The Double Wear Mascara by Estee Lauder. Natural Lipstick tone's by Estee Lauder. The full size bottle of Double Wear Foundation by Estee Lauder. The Final outcome! what do you think? I love how it leaves a natural look on my skin, and it does make glow in a way. Right? And with this look, i'd say i look 23 compared to my before make-up photo. haha. Well, you might say i look a bit too heavy on the make up, but do take note that it doesnt feel as heavy as it looks. Very light, very natural and the outcome left my skin looking flawless and smooth! And who is this beautician behind my look? Presenting Ira Nur Ain who has wicked skills of a make up artist! The Beautician, Ira Nur Ain who made me look amazing. The amount of variety Estee Lauder provides. Me and blogger Elana Kong wearing Double Wear foundation. Aren't we gorge? Well, thats all for now, if you're having a hard time with looking for the right foundation, why not head on over to Estee Lauder for a complimentary makeover to tryout their products? I tried mine at Isetan, KLCC and at the same time, managed to bumped into Elana Khong while i was there! In the photo above is both of us in Estee Lauder make-up. Don't you think we look like we're ready to party? hehe. Well thats all for now. For more information, do head on over to their Facebook page or the Official Website to catch up on more information from Estee Lauder. If you're using Estee Lauder too, tell me what your thoughts are, as what i say might be a personal opinion, and i would be interested to find out your opinions too! Thanks for reading! the main reason why i love estee lauder, because their foundation got a lot of shades!! wow both of you looks great. Hehe.. nice to know you find right shade for your skin. Hey dear! You are having so much fun at Estee Lauder counter. I tried this product myself and really love it very much. such a happy smiley face. thanks for sharing this, not that I'll use it anytime soon though. Estee Lauder. reputable brand and it's good. You look awesome!! The advance night repair is an all time favourite star product for them. A tad rich for me but I use it only when I am travelling. Nice make up dear!! You look pretty and charming!! I spot two gorgeous ladies! Estee Lauder quite an established brand, I should try their products soon! yes you look gorge, Ira is so nice and she really gave you an amazing makeover! love that look!